THq has just let us know that if you pre order their follow up to the blockbuster Darsiders title, you will automatically receive the limited edition for free. Included in the Limited Edition is retail title with a code to download Argul's Tomb, the first single player DLC once it becomes available. Not to be confused with the Collector's Edition, which includes the Limited Edition of Darksiders II, life sized replica Death Mask with stand, unique armor and weapon, digital copy of soundtrack, and a hard cover art book. 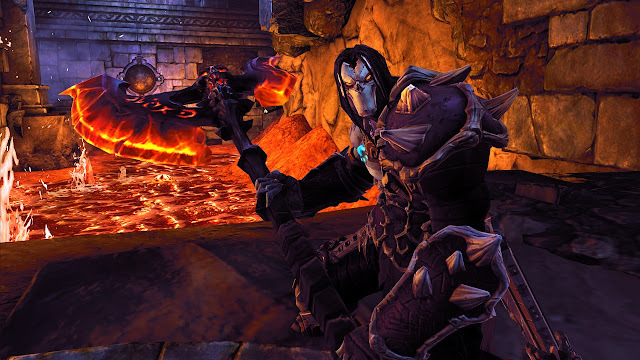 Darksiders II will be available on June 26th for both consoles and PC.